F.J. Dominguez Ruiz, E.M. Cali Y. & L.A. García J.
Carlos Guedes Soares is a professor of Naval Architecture and Marine Engineering at Instituto Superior Técnico, University of Lisbon, Portugal. He received the MSc and Ocean Engineer degrees from the Massachusetts Institute of Technology, Cambridge, in 1976, the PhD degree from the Norwegian Institute of Science and Technology, Trondheim, Norway, in 1984, and the Doctor of Science degree from the Technical University of Lisbon, Lisbon, Portugal, in 1991. He is also the President of the Centre for Marine Technology and Engineering (CENTEC), a research centre of Instituto Superior Técnico that is recognized and funded by the Portuguese Foundation for Science and Technology. He has co-authored more than 400 journal papers and 600 conference papers and has been involved in more than 60 international research projects and 20 national projects.He is Editor and member of the Editorial Board of various international journals and has been involved in the organisation of several International Conferences. 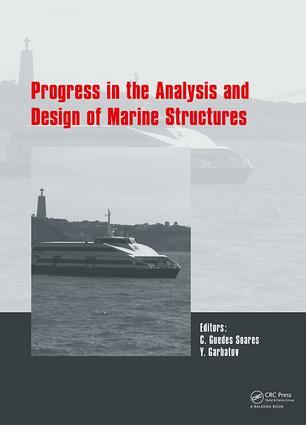 Yordan Garbatov is a associate professor of Naval Architecture and Marine Engineering at Instituto Superior Técnico, University of Lisbon, Portugal in the area of Ship Structures. He graduated as a Naval Architect from the University of Varna in 1986 and concluded his PhD degree at IST in the area of Fatigue Reliability and Reliability-Based Maintenance Planning in 1998. He has published about 300 scientific papers. He has been involved in a number of international and national research projects.He is a member of the Editorial Board of some international journals and has participated in the organisation of International Conferences.